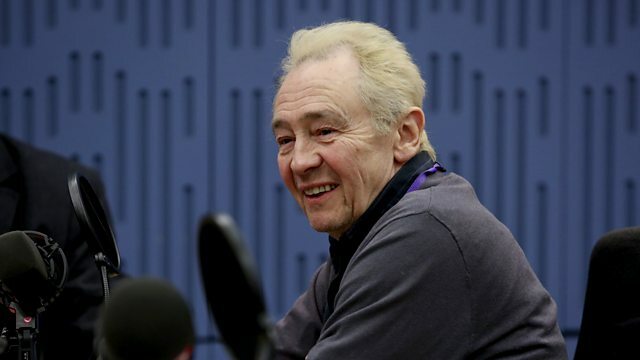 Clive Anderson and Nikki Bedi are joined by Paul Whitehouse, Alison Jackson, Alexei Sayle and Tana French for an eclectic mix of conversation, music and comedy. With music from Rob Heron & The Tea Pad Orchestra and Jacob & Drinkwater. 'Only Fools and Horses' runs at London’s Theatre Royal Haymarket and is booking until August. 'The Wych Elm' is available on 21st February. 'Alison Jackson: Double Fake' is at the Leicester Square Theatre, London from 5th to 7th March. Episode one of 'Alexei Sayle's The Absence of Normal' is on Monday at 11.30 am on BBC Radio 4. 'Soul of My City' is available now. Rob Heron & The Tea Pad Orchestra are playing at Ramsgate Music Hall tomorrow, The Voodoo Rooms, Edinburgh on 27th and The Old Bridge Inn, Aviemore on 28th February. Check their website for further dates. 'This Old River' is available now. Jacob & Drinkwater are playing at Riverhouse Barn, Walton on Thames on 24th, Guildhall, Leicester on 25th and Kitchen Garden Café, Birmingham on 26th February. Check their website for further dates.